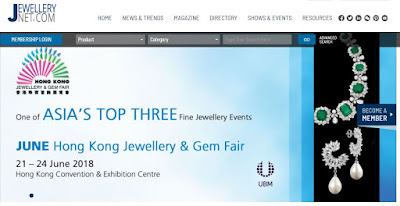 JewelleryNetAsia.com, a well-established business-to-business portal that serves over 60,000 global jewellery buyers every month, today announced its rebranding to JEWELLERYNET.COM. The new and innovative digital platform is designed to build a comprehensive B2B portal that effectively brings together buyers and sellers online. JEWELLERYNET.COM is a one-stop platform for jewellery professionals. It offers the widest range of industry information and insights for global industry players. It consolidates the most effective features of its predecessor with relevant content from reputable Jewellery Media publications including JNA, CJNA and Silverstyles to maximise value for users. The new portal now features timely and pertinent industry news including trends, trade fair news, directories and e-magazines, on top of online showrooms. As part of its rebranding strategies, JEWELLERYNET.COM also offers an upgraded flexible membership plan, new marketing solutions services, integrated social media communications and website optimization. Four membership types are designed to fulfill various customer needs: Basic, Standard, Premium and Platinum. Paid Standard, Premium and Platinum members can take advantage of numerous privileges including owning a product showroom and other value-added features such as Listing on Product Search Results, Sponsored Content in Magazine Section, Social Media Post and Showroom's Hot Pick in the eNewsletter. 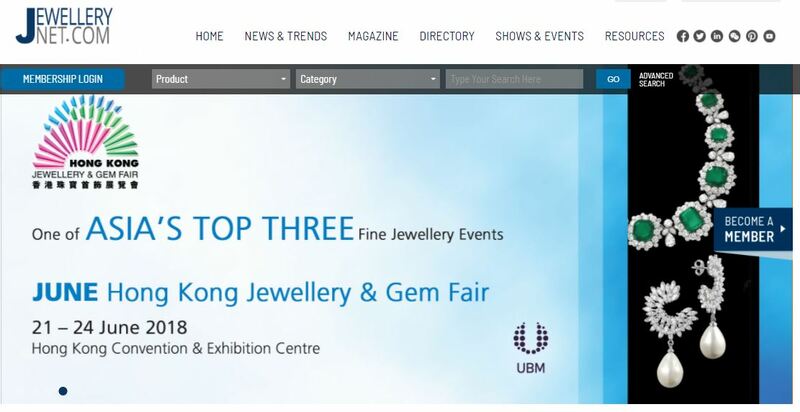 To help clients meet challenges in a highly competitive market, JEWELLERYNET.COM is also unveiling new services such as comprehensive offline to online marketing solutions. These services include but are not limited to Branding & Development, Business Matching, Social Media Promotion, Digital Marketing and Events Promotion. Keeping people connected is one of the major goals of JEWELLERYNET.COM. All the social media accounts of JewelleryNetAsia.com, JNA and CJNA are now integrated into one social media account for Facebook, WeChat, Twitter, Linkedin, Instagram, Weibo, YouTube and Youku. All followers can stay updated with top industry news and interact with each other in a seamless digital environment. To optimize user experience, the new website was redesigned with streamlined menus, simplified navigation and a responsive layout. Users can enjoy a broad variety of new functions with a simple and user-friendly interface.